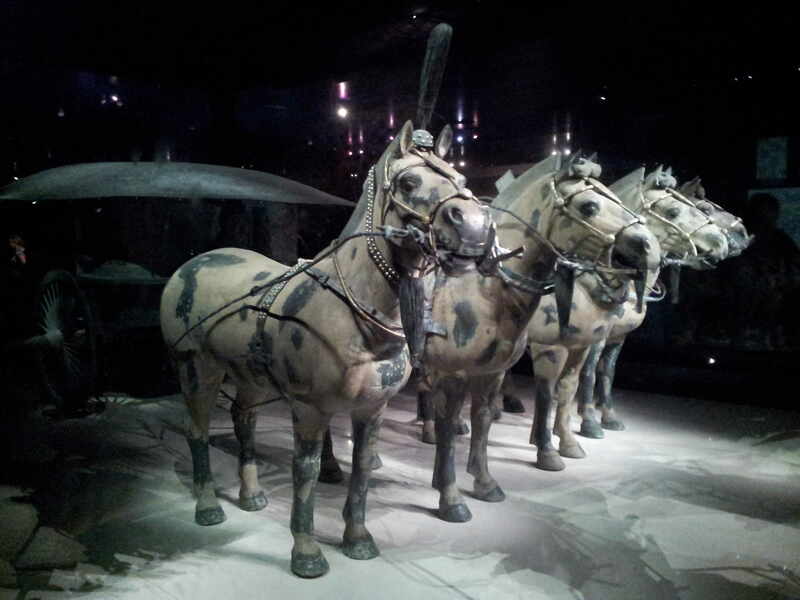 The high point of my travels in the past year was my first visit to Xi’an to see the famous terracotta army. I’d expected to be somewhere between impressed and overwhelmed. My response was roughly half-way in between. I was in a bit of a daze, trying to focus on the individual members of the army, while being distracted by the ranks upon ranks of warriors. Were they all different? Perhaps. There were several different facial types, but very small changes are often sufficient to make faces look different. I looked closely at some sections and came to the conclusion that it is possible that several figures could be based on the same model. You can see an example in the group whose photograph is above. 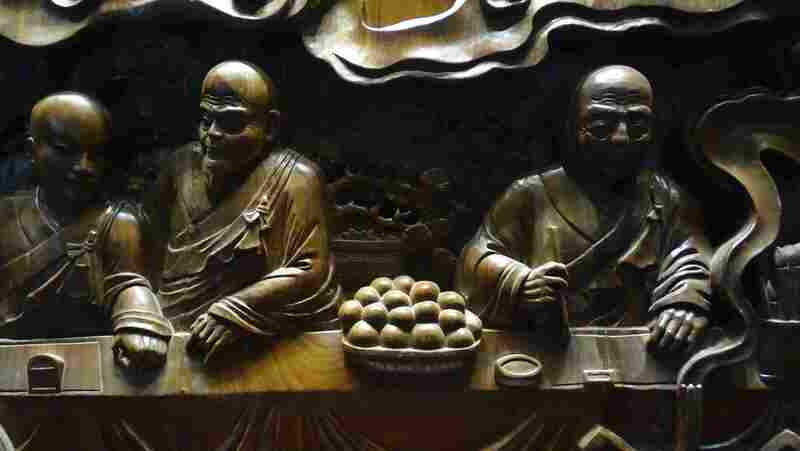 The terracotta army was breath-taking, but it was not the epiphany. The epiphany came as I walked around the huge pit and came to the portion where the restoration is going on. Suddenly I realized that the figures were not dug out of the ground whole. They were a jumble, and many were shattered into pieces. It is the painstaking work of an army of modern archaeologists which is piecing them together. In the photo above you can see one of these warriors being reconstructed. 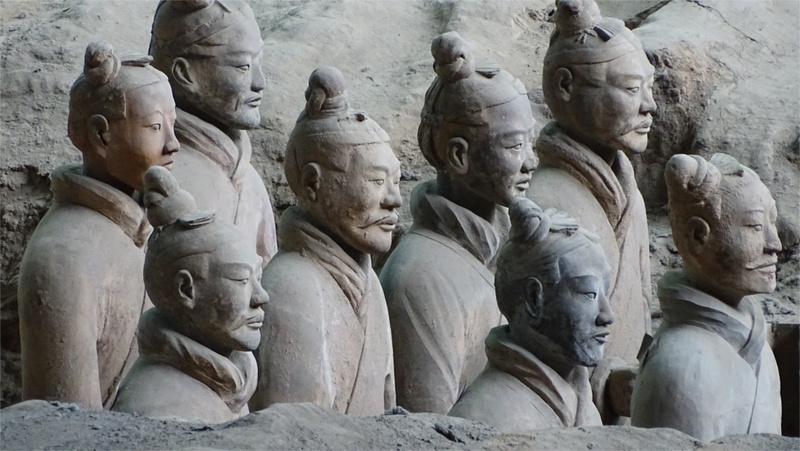 Until then my lazy impression was that India has its Taj Mahal, China its terracotta army. I understood that the differences are enormous: the Taj Mahal and the Forbidden Palace are complete artefacts which only need care. 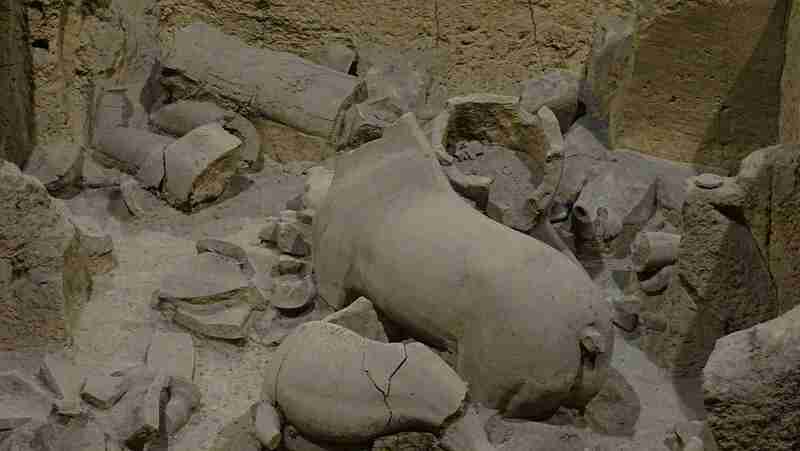 The terracotta army needs to be reconstructed. 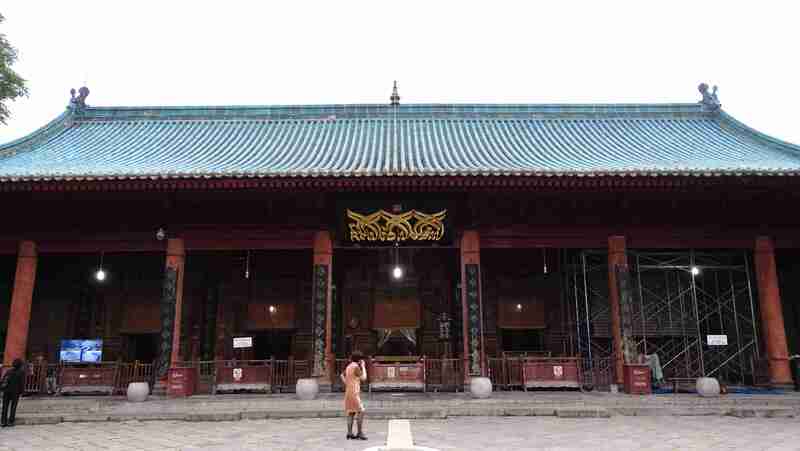 In that moment of epiphany I realized the truth: China has created technical expertise to actively restore its past glory. I find that Chinese images of horses are subtly disorienting. Perhaps I’m too used to the use of images of horses to depict freedom, grace and wild spirits: this is ubiquitous in advertising. Indian art also sees the horse as a symbol of grace. Chinese art, on the other hand, seems to see the horse as a symbol of power. The muscles of the chest and haunches are exaggerated. 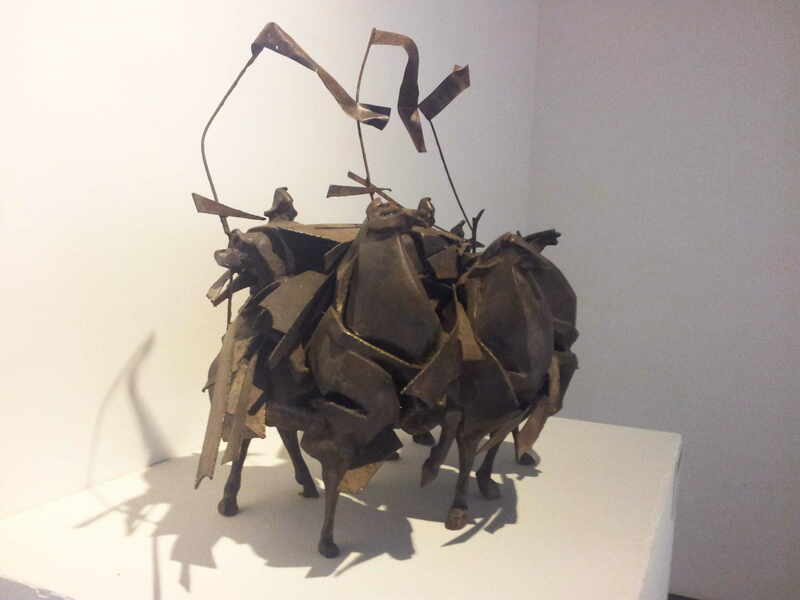 The photo above is a typical contemporary depiction of a horse; this is a piece in the art museum in Wuhan. Of course, contemporary art exaggerates. But the exaggeration says something about the artist’s notion of the subject. 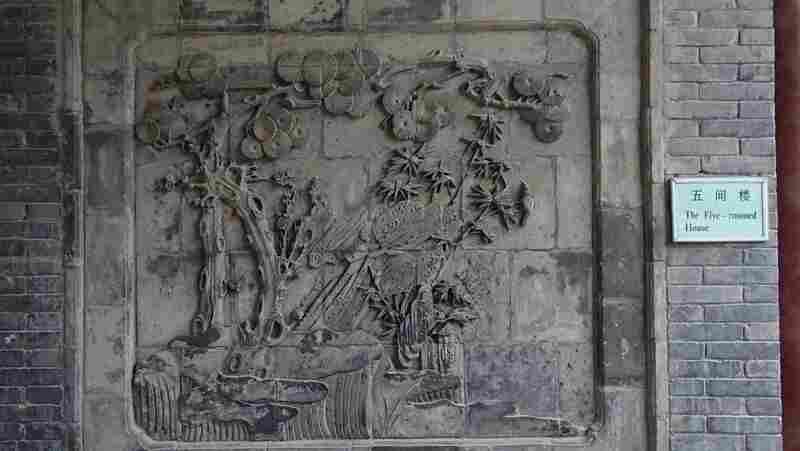 How far back did this iconography emerge? I flicked through the photos that I’d taken during my recent trips to China and stopped at the image of the oldest horses I’d seen. 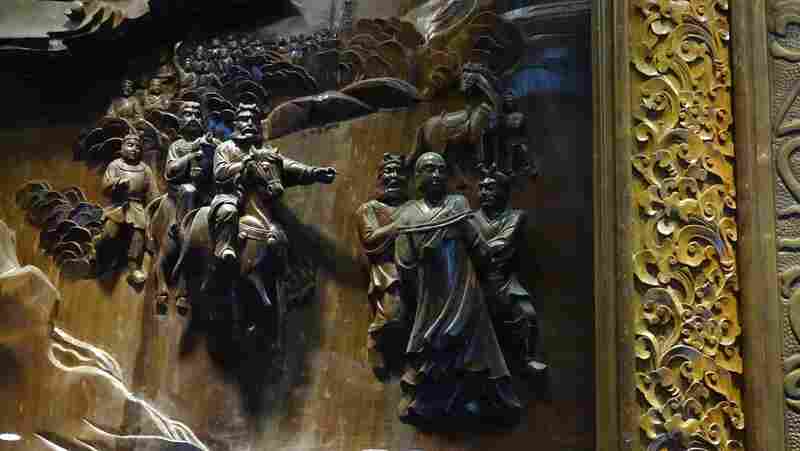 The photo above is a famous piece, one of the two chariots dug up from near the tomb of the first emperor, Qin Shih Huang. 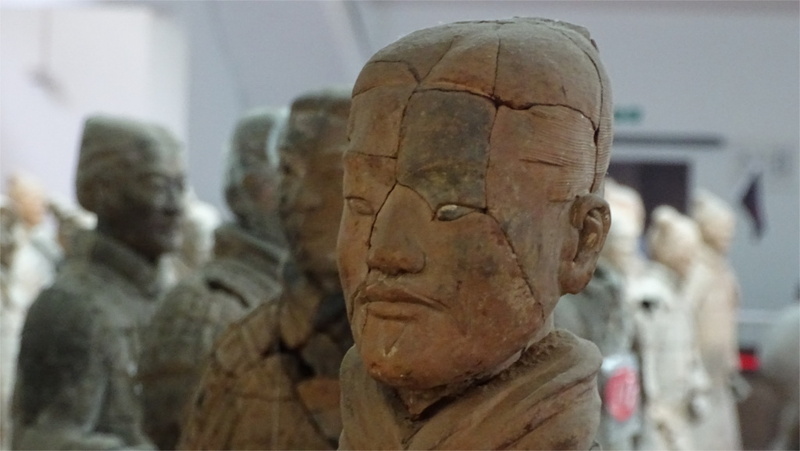 It can be seen in a special exhibit in the enclosure with the famous terra-cotta warriors of Xi’an. One can see a fairly realistic depiction of a horse. If there is an exaggeration of the chest and haunches then it is mild. So the current Chinese concept of a horse is not two thousand years old. That’s a long enough time for an academic to research and build a thesis upon! I’m happy enough just looking at these strange Chinese horses. 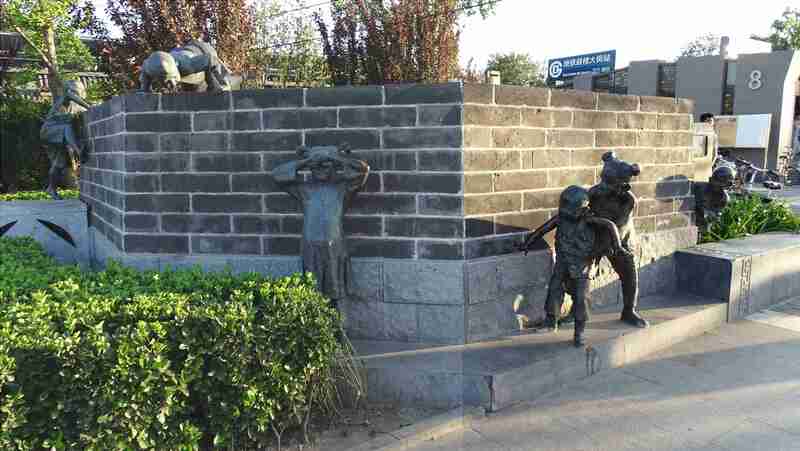 Beijing is full of public art which have official sanction. Very often they are playful pieces like the one above: of children playing hide and seek. This one stands outside the Gouloudajie subway station in Beijing. 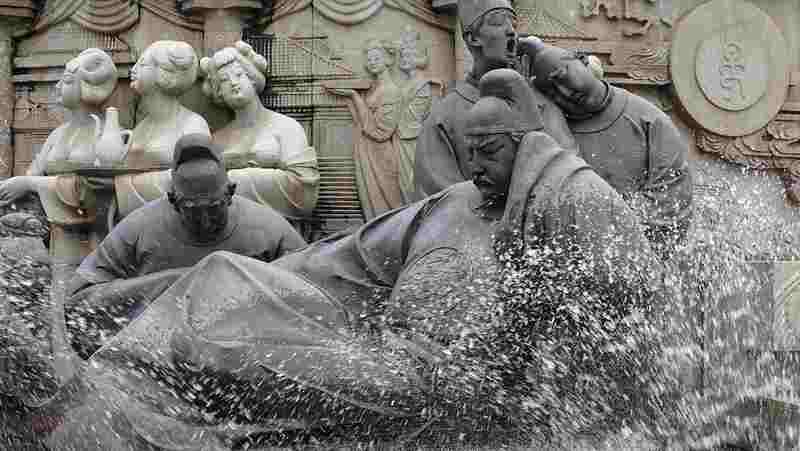 We also saw a monumental water fountain in Xi’an near the hot springs, which is full of playful elements like this. There were dancing figures, sleepy kings with yawning attendants, musicians at play, and so on. I wish India’s officially sanctioned public art would revert to the wonderful days when there was much more than statues of famous people. 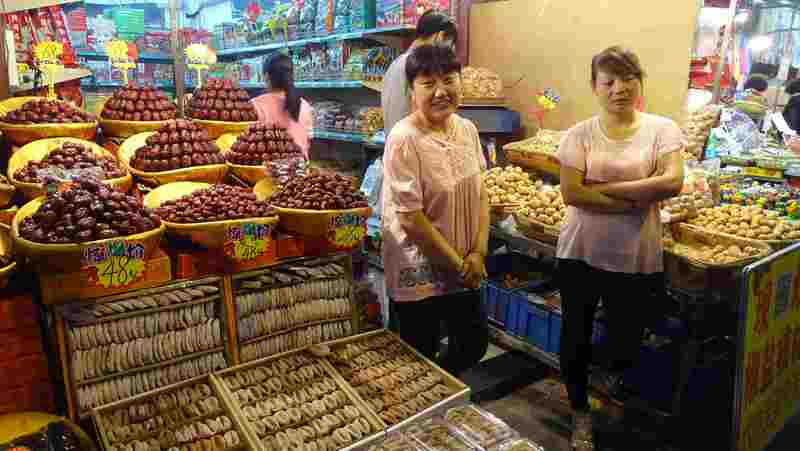 Street food in Xi’an is exciting. In a street full of different kinds of stalls I found this guy selling octopus fritters. I’ve had a toasted octopus while strolling on the Avenue of Stars in Hong Kong, but the fritters are new to me. They seem to be as popular as lollipops. I saw people eating them in Shanghai, and now again in Xi’an. Unfortunately I see them after I’ve already eaten. I hope Beijing has them too, because I really want to taste them. The Family continues to make unkind jokes about my eclectic dining habits. In Xi’an we saw this newly uncovered horse which has still not been pieced together. The Family said "This must be the rest of the donkey you ate for lunch".